Dr. David Cziner did his undergraduate studies at Harpur College of Arts and Sciences, State University of New York at Binghamton, where he received a BA with Outstanding Academic Performance in Physics and was invited to join Phi Beta Kappa and Sigma Pi Sigma (the national physics honor society). He was awarded his MD from New York University School of Medicine and did his internship and residency in Internal Medicine at Bellevue Hospital Center where he went on to complete a fellowship in Cardiology. Dr. Cziner was a senior fellow in Non-Invasive Cardiology at NYU’s Tisch Hospital. Dr. Cziner is board certified in Internal Medicine, Cardiovascular Disease and Nuclear Cardiology. He is Chief Emeritus of the Department of Cardiology at White Plains Hospital and is also on staff at Greenwich Hospital. 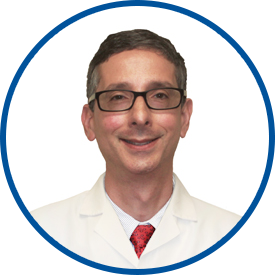 Dr. Cziner is a member of the American Society of Nuclear Cardiology, the American Society of Echocardiography, the American College of Physicians, the American College of Cardiology, the State Medical Society of New York and the Westchester County Medical Society. I have been seeing Dr. Cziner for many years. HE IS GREAT. BEST OF ALL MY DOCTORS. *Dr. Cziner is the best!! He is smart and kind. He explains everything and he not only listens to but he hears me and respects what I say. I drove 130 miles each way to see Dr. Cziner and I would happily do that again. over 6 good years with Dr. Cziner! Dr. Cziner has been treating me for more than 24 years; with great success. I think he's the best doctor in the world.